Finally MovieBuddy was approved by the App Review team. It is now available in the AppStore. You can download it by clicking the following link. So far we are quite happy with MovieBuddy in the AppStore : in less than 24 hours MovieBuddy reach the Top 15 applications in the iPad Entertainment category, and it has been since then go up. 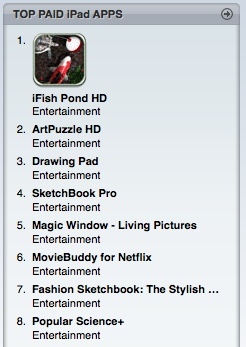 The application is now ranked #6 in the Top paid iPad application in the Entertainment category. It is even in the Top 100 best selling applications : it's currently ranked #52. We're actively working on the next version and we will be adding some new features based on the great feedback we received from the early customers.